Yes, it’s here and alive and well on Kindle! 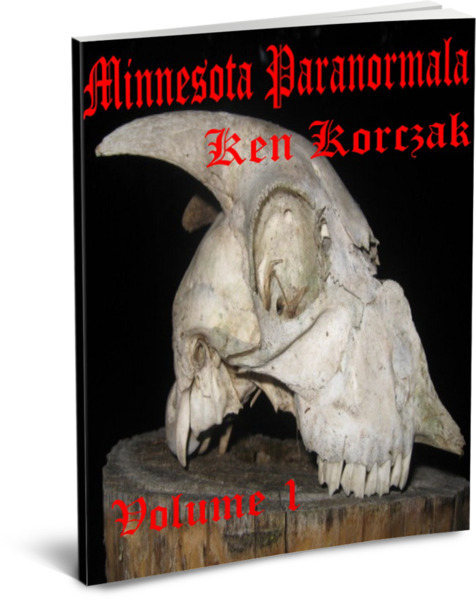 My new book, Minnesota Paranormala, Vol. 1. Some of the stories might seem familiar to regular readers of my blog because I have selected some articles that have drawn the most interest here, hoping to find new and larger audiences for them in an ebook. But there is also some never-before-released-anywhere materials, including the amazing story of a 96-year-old man I interviewed who told one of the strangest tales I have ever heard — he claims to have visited an alternate universe back when he was a young man in 1928. You don’t need a Kindle to download this book. If you don’t have a Kindle, you can download a free Kindle reader for your computer. Anyway, I feel good about this book because I worked hard to make it a high quality book with great stories, true stories of extremely strange happenings, monsters, UFOs, ghosts, wizards …. hope you’ll all check it out. CLICK HERE FOR MINNESOTA PARANORMALA!